Homolka, Gina. Jones R.D., Heather K. The Skinnytaste Cookbook: Light on Calories, Big on Flavor. New York: Clarkson Potter/ Publishers. 2014. How can something that tastes so good still be good for you? Using in-season, unprocessed, natural whole foods to make such tasty recipes is priceless. 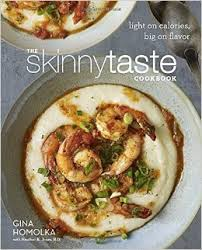 Full of motivational tips, nutritional eating make-overs, and healthy information, The Skinnytaste Cookbook helps make losing and maintaining weight through food choices fun and yummy. Recipes included are for breakfasts, soups, sandwiches, appetizers, salads, meats, sides and of course, desserts. Key information (calories, carbs, fat, fiber) is included with each recipe as well as easy-to-follow directions, additional food facts, and “skinnyscoops” which gives the author’s personal thoughts/ experiences with each recipe. Appetizing and extremely palatable while being nutritional and weight conscious…it doesn’t get any better than The Skinnytaste Cookbook! Harris, Shilo. Cox, Robin Overby. Steel Will: My Journey Through Hell To Become The Man I Was Meant To Be. Grand Rapids, MI: Baker Publishing. 2014. Incredible! 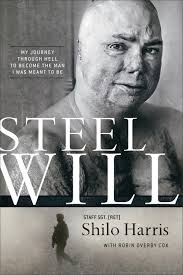 Steel Will is so appropriately named…after the many difficult ordeals, anguish and suffering endured, a strong will, his committed family and faith in God is what brought him through it all. As a true role model, a team player, a compassionate educator, a father and a husband, Shilo Harris is also a genuine American. Though raised by his father for the service, his success in the military came from pure heart. Well written from a story obviously well lived and told, Steel Will will bring you to tears as well as make you smile. Thank-you Shilo…to both you and your family!! Sheperd, Linda Evans. The Stress Cure: Praying Your Way to Personal Peace. Grand Rapids, MI: Revell Publishing. 2014. Everyone deals with stress in some form. 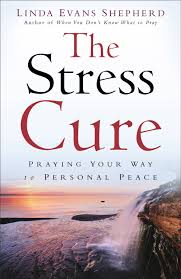 In her book, Linda Sheperd explains, encourages and emboldens you to pray away stress towards a life of peace. Through Bible characters, personal stories, prayer examples and bits of wisdom, The Stress Cure may help you do just that…find the cure for your stress. With many different “cures” for stress on the market (exercise more, eat better, relax often), this was a different approach (a stronger one). Linda Sheperd suggests battling your stress through prayer…not just any prayer, but trusting and committed prayer. Feeling God’s presence and control over your life should help overcome the stress. With chapters full of different causes/ types of stress (Negativity, Anxiousness, Frustration, Hopelessness), The Stress Cure is organized like a devotional or Bible Study with room to journal ideas or thoughts. Overwhelmed by stress can be a difficult way to live but finding God’s peace through prayer may help. To quote the author, “God is with you. He’s at work in your circumstances now.” That has to alleviate some stress!! Connealy, Mary. 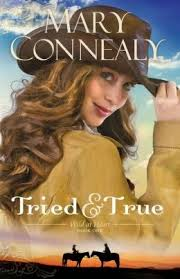 Tried and True: Wild at Heart- Book 1. Bloomington, MN: Bethany House Publishers. 2014. Stetsons, horses and cowboys…the makings of a fun story! Three sisters homesteading in the West provide an entertaining notion for a book which reads quickly, easily and wildly. With a bit of a mystery and quite the romance brewing, Tried and True is a playful read which includes a piece of history in the exemption offered to men of the Civil War in homesteading (each year served in the War counted as a year off the five-year land period). As a fan of Mary Connealy’s humorous writing, I was not disappointed in this novel and already am looking forward to her next ones in the Wild at Heart series. Ride em’ cowboy (er, cowgirl)! Martha Stewart Living. 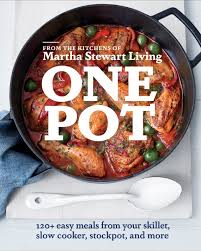 One Pot: From the Kitchens of Martha Stewart Living. New York: Clarkson Potter/ Publishers. 2014. Wonderful! I appreciated the ease of use of the book as well as the satisfaction of creating a home-cooked meal easily. With clean-up being a snap, it allows less time in the kitchen…yeah! From fancy dinners (the recipes could be dressed up) to every night family meals, One Pot takes busyness to a more manageable level. With explanations of the various vessels, extra information on ingredients, realistic photographs, use of everyday food items and new pairings, I found this book to be priceless. My family couldn’t agree more as the many empty plates can attest! Howerton, Mike. The Ride of Your Life. Grand Rapids, MI: Baker Publishing. 2014. Through a clever comparison to learning to ride a bike, the author parallels child-like faith to a life of opportunities when we trust in God. Though not necessarily new ideas, the correlation was a helpful reminder of the important things in life as well as a refresher of the knowledge that our heavenly Father will not let us fall if we trust in Him completely (thus, with the faith of a child). 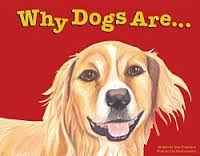 With corresponding chapters to riding a bike (Slamming on the Brakes, Avoiding Obstacles, Get Back On and Get Moving), the theme was consistent and easy to follow. With lots of personal stories throughout, The Ride of Your Life would be a good devotional, a gift for a parent, encouragement for a new-believer or even a Bible Study. Frantz, Laura. Love’s Fortune: The Ballantyne Legacy. Grand Rapids, MI: Revell Publishing. 2014. Hard to believe but I have never read a book by Laura Frantz (even though the first two books in this series sit on my bookshelf)! How did I not? Love’s Fortune was wonderful as a stand-alone story; however, I assume it would have an even greater impact if I had read the previous novels in the Ballantyne Legacy. Full of descriptions, romance, surprises, family secrets and of course consequences for choices made, Love’s Fortune delivered. Well written enough to keep the pages turning quickly, I am only glad this is not the end of the series for me as I plan to return soon for the previous books. Hughes, Scottie Nell. Roar. Brentwood, TN: Worthy Publishing. 2014. A quick yet thought-provoking read, Roar was a book which gave me pause to think and consider things often thought but left unspoken. 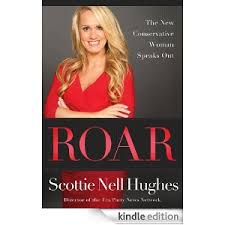 Through mixing sass, witticism, and candidness, Scottie Hughes delivers a compelling and perhaps effective message about life. 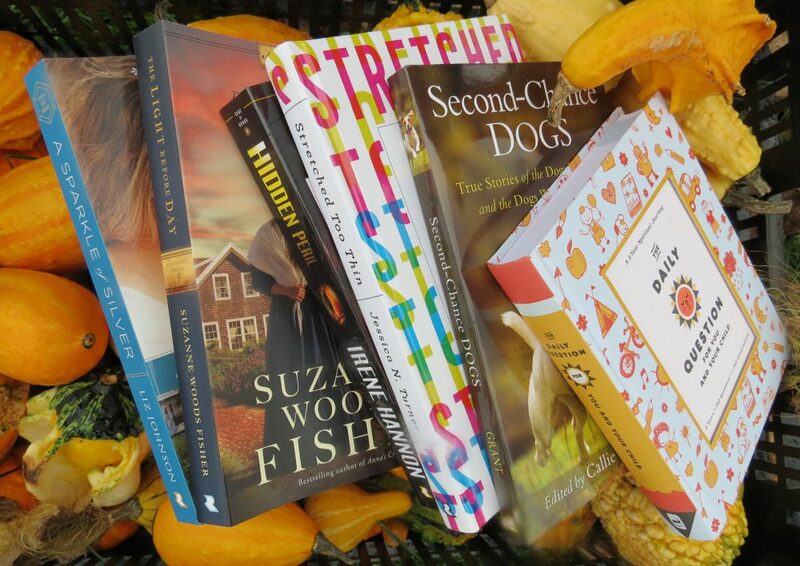 As a debut novel, I found it to be well-written which led to it being well-read. I appreciated the frankness with which it was told though some may find it disagreeable…definitely a conversation starter (if needed). As a strong defender of marriage, parenting and women, the chapters included were fitting (Hugging Trees and Getting All Sappy, Parenting and Mommy Mafia). I do think the title was not only creative but extremely effective and applicable. Well done! Brouwer, Sigmund. 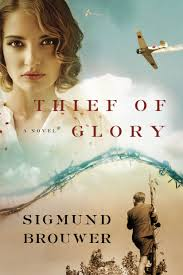 Thief of Glory. Colorado Springs, CO: WaterBrook Press. 2014.